There are lots of different ways to approach law school, beyond the standard “make an outline” advice. You’ve got to find the approach that works for YOU. Read on for advice on handling different learning styles in law school and for creative study approaches you can apply today. 5 Law School Study Tips for Kinesthetic Learners Are you someone who cannot sit still in lectures? Do you learn better trying things yourself? If this describes you, chances are you are a kinesthetic learner. While law school caters more to the visual and auditory learning styles, here are some study techniques to compliment your strengths. 5 Law School Study Tips for Auditory Learners Have you found yourself struggling to retain information that you read in books, but put in a classroom lecture you can recite the professor’s words almost verbatim? If that describes you, chances are you are an auditory learner. Let’s look at five ways to study in law school that compliment your strengths as an auditory learner. 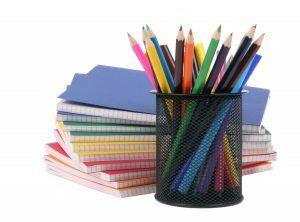 5 Law School Study Tips for Visual Learners People may look at you strangely if you color your way through law school, but it's totally doable! How Visual Learning Tools Can Help You in Law School: An Interview With SketchyLaw Using hand drawn original video scenes, SketchyLaw aims to help students review and remember important legal concepts in a unique way. Even if you don't think of yourself as a visual learner, read more to see if you could benefit from this different approach to studying the law. How to Make the Most of Cooperative Learning in Law School Some of your courses are relying on techniques that go beyond the traditional Socratic method style of instruction. To be sure, the Socratic Method is still the foundation of most law school courses, but team-based or cooperative learning strategies are starting to gain some traction, and not just in experiential or elective courses. Even some core, substantive law classes have started to incorporate group learning into their curriculum. Whether cooperative learning is being forced on you through a mandatory assignment or you’re joining a study group of your own volition, you’ll get the most out of these learning experience if you understand some of the theory behind cooperative learning and follow a few key guidelines. Ditch Your Highlighters: Science-Based Study Techniques We all have our own techniques that we like to use when studying. Some students like to read, read, and read again, some prefer making flashcards, and others prefer methods such as outlining or writing summaries. Some students like to space out their studying over several days or even weeks before an exam, while others wait until the night before and cram for hours. Every student is different and you should stick with whichever method works best for you, but if you’re looking to make the absolute most of your study time, there are certain methods that are scientifically proven to be more effective than others. Leveling the Playing Field: Using Resources and Seeking Accommodations in Law School Students come to law school with strengths from past studies, jobs, and life experiences, yet many find that law school is a struggle. There are many tools and strategies to help you succeed; one of these strategies is to address learning disabilities proactively. Active vs. Passive Learning in Law School There are several different types of learners sitting in any law school classroom. While each type of learner responds best to particular study strategies, there is one thing all law student can benefit from: active learning. In this post, we discuss the differences between active and passive learning and why active learning is crucial in the legal field. Law School Exam Advice: To Each His Own Difficult though it may be, you’ve got to trust yourself, your knowledge of how you learn best, and your intuition. That’s the only way to figure out what’s best for you. Here's why. Study Tips for Your Learning Preferences More and more research is being done about different learning styles. If you're wondering what the best study approach is for your learning style, this post will help you get started! Using Flow Charts to Learn the Law For those visual learners (and possibly the kinesthetic learners as well) creating and using flow charts to map out the law can be very helpful. There are many apps and programs out there to help you flow chart your way to legal mastery!